Winter and central heating has taken it's toll on my hair lately, it's become very dry,frizzy and troublesome. I was recently lucky enough to be sent a couple of haircare products to try out - OSMO Effects Detoxify 1 Day A Week Clarifying Cleanser* and; OSMO Effects Straighten Up*- which I hoped would make my hair happier. OSMO is a professional haircare brand which was 'born and bred in Britain'. Their wide range of products covers everything from styling, colouring and caring for hair. 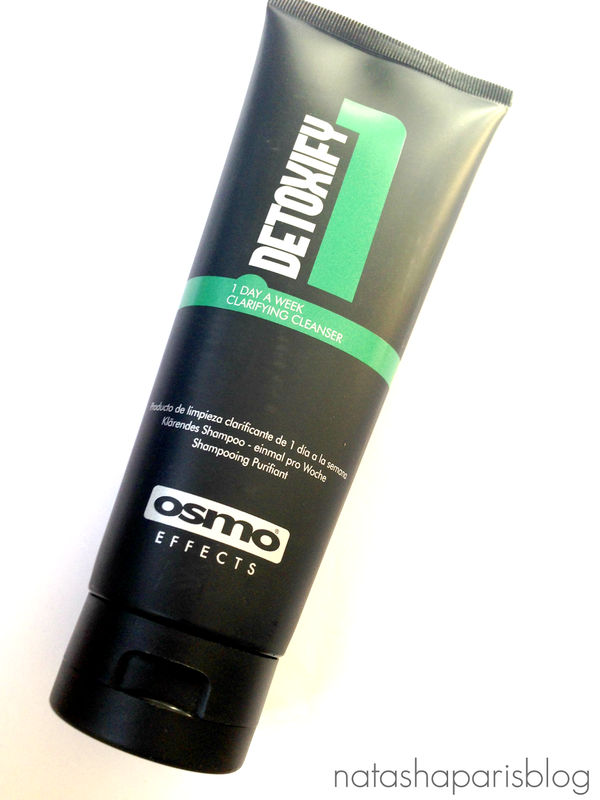 The OSMO Effects Detoxify 1 Day A Week Clarifying Cleanser* is a build up removal shampoo, to be used once weekly to remove any product build up from the hair. I've been using this product on a Sunday to 'detox' my hair of all the products I've used throughout the week. After using the shampoo a number of times now I feel I can give it a fair review. The shampoo has quite a fresh minty smell,which I'm not overly fond of but I'm sure others would really like it. This shampoo leaves my hair squeaky clean and I haven't found this product to make my hair any drier than it already is which I was worried was going to be a little bit of a problem. One thing that's worth noting is that since I've been using this shampoo the colour in my hair has faded slightly, now I'm not sure if this is entirely the result of using this shampoo but it's definitely something to bear in mind if you do colour your hair (like I do). 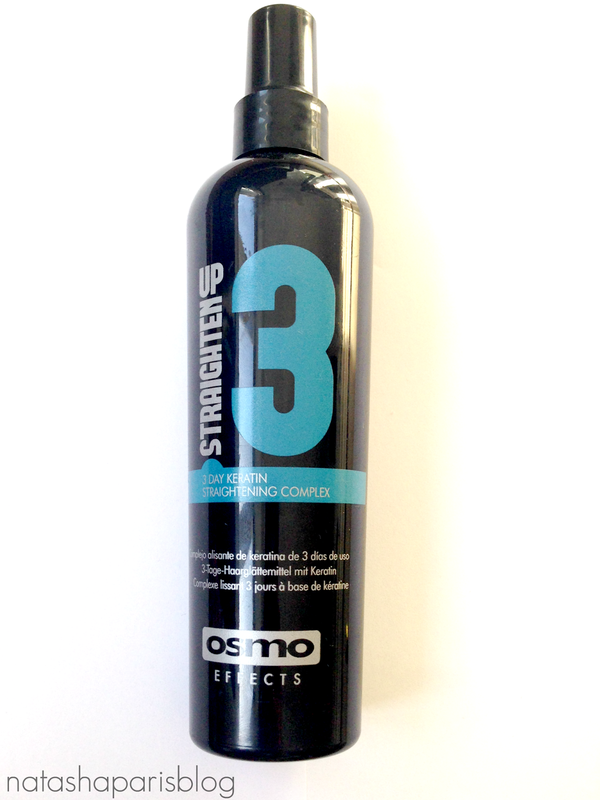 The OSMO Effects Straighten Up Spray* is a Keratin based straightening spray which works alongside hair straighteners to help lock in straightness,control frizz and promote shine. Despite having GHD Hair Straighteners and taking time over straightening my hair my hair will never stay straight so this product really appealed to me. The product is to be spritzed over damp hair (avoiding the roots) before blow drying and then straighten your hair as normal to finish. 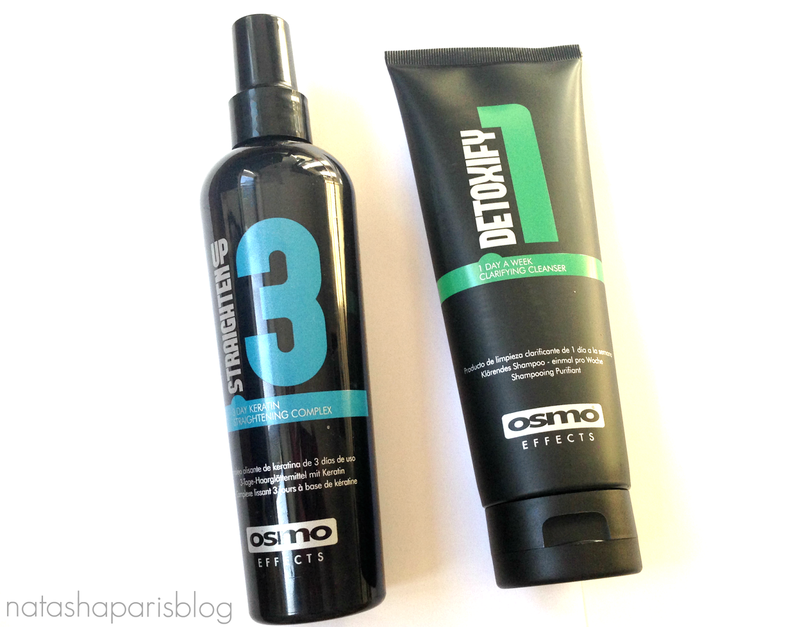 The OSMO Effects Straighten Up Spray* has a sweeter scent than the shampoo,which I much prefer. Now in no way do I have professional blow drying or straightening skills but there was a definite improvement to the appearance of my hair after using this product. My hair was much less frizzy than usual and actually looked pretty sleek and healthy. Although my troublesome hair refuses to fully co-operate with my hair straighteners this product did help my hair to retain some straightness for just that little while longer. *This product was very kindly sent to me for review purposes. This is not a sponsored post and all opinions are my own. You can read my full disclaimer policy here.